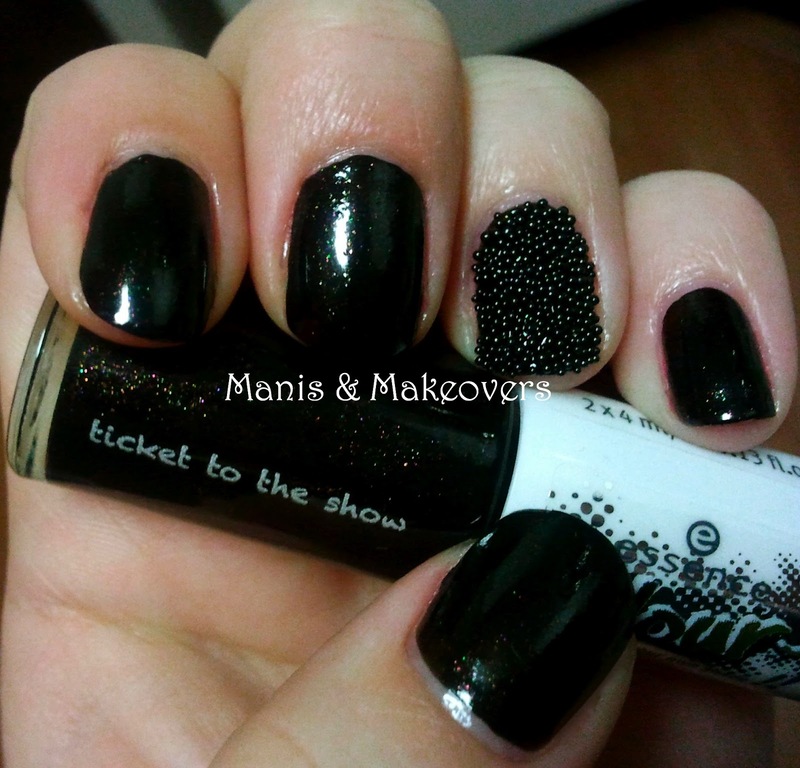 Manis & Makeovers: Ticket to The Show and Caviar to go! Happy Wednesday! Just did my presentation, it went well. Haven't slept much, but will survive. Here's the quick mani I did yesterday! It looks ok, but not as pretty as without the topcoat! But I needed it to stay on my nails for at least a full day and to survive washing my hair in the morning, and I succeeded. So, I'm happy! Can't wait to do this with other nail polish colours and caviar colours... Catrice will soon have some Caviar in their next Limited Edition... CAN'T WAIT! NEW COLOURS! DROOL! 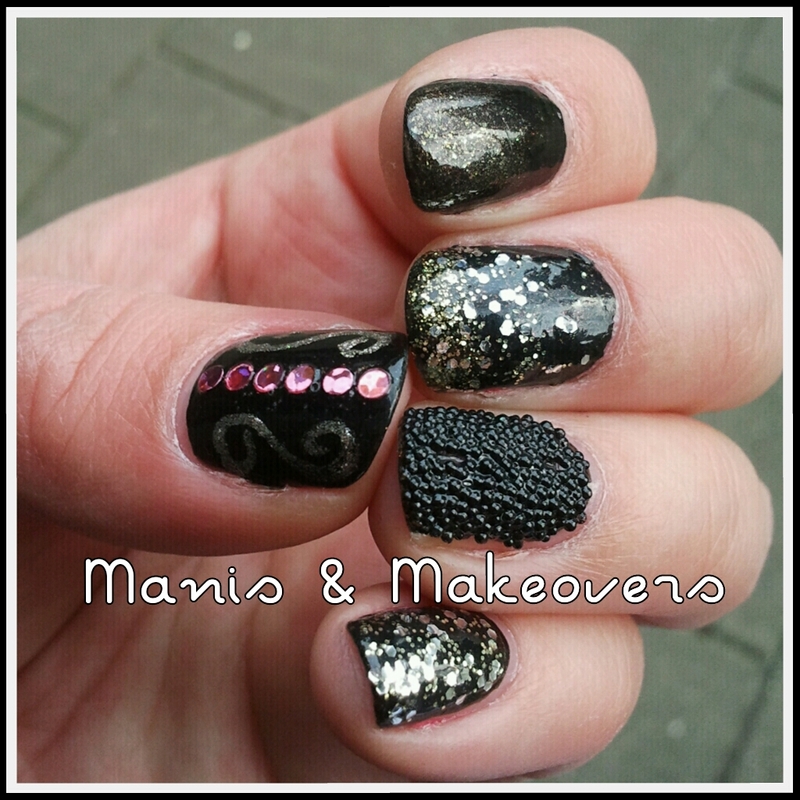 Do you like or dislike the caviar look? Added some glitter, it was chipping already but didn't want to redo the mani, nor do another one. Will do a new one tonight. This is the result! This photo was taken in sunlight. The gold glitter is a topcoat from HEMA, the gold specs are from the other end of the "Ticket to The Show" duo polish, namely "Front Row Or Backstage?" and I applied it in a gradient. The loose pink glitters are from Essence Vintage District Nail Decoration Kit 01 "something g-old – something new" and the swirls were done using Essence "Metallic Champagne" striper. Now it's a skittle!